It takes time to find relevant and interesting things to post on social media. We all have that page we follow (and then usually unfollow) who posts things that just don’t make sense to their brand, or don’t make sense at all! It’s important to have a clear voice for your brand not only through your products or services, but also through the things you post! This includes, font choices, articles shared from other sources, stock photos chosen, current events that are talked about, and a whole lot more! Getting the creative juices flowing to make things like this can be hard! I have been making simple graphics and adding logos and text to images for a while and these are super helpful to have on hand when you’re running low on unique content to post. Stock photos are another great resource to have when content runs low. But stock photos still need to match your brand. I have a list of websites that I use to access many free stock photos. There are also photographers who offer custom-made branded stock photos that I can connect you with! Connecting with people is the whole point of social media! So as a Social Media Manager I dedicate 1-4 hours a week connecting with people who follow your page, people who are potential clients, plus influencers and other businesses to form beneficial relationships for your brand! Engagement is huge (& so beneficial!) on social media and especially on Instagram. 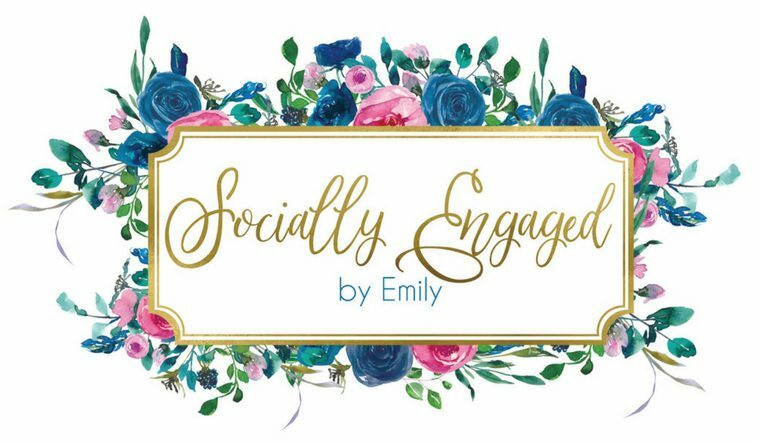 I also offer Engagement Hours, a la carte where I dedicate an hour, just to connect with people on your Instagram account. Purchase your engagement hour for your IG account by filing out the form below. There are a lot of factors that need to be considered before using hashtags. A couple of them are, how often do I use this hashtag? What other accounts are using this hashtag? Is this a hashtag that my followers or potential clients are searching? Is this hashtag shadow banned? How many other posts does this hashtag have? Does this hashtag mean something else? An example of needing to do your research before using a trending hashtag – back in 2011 when Casey Anthony was found not guilty of murder and manslaughter, Entenmann’s tweeted this… This hashtags was in reference to the Casey Anthony case and they tweeted about their brand using this hashtag, without doing the research first! As you can imagine, they had some damage control to do. It’s important to have a plan in place each month but also to adjust that plan when needed. Trends and events that are featured on social media change daily, so it’s important to stay up to date but also have your social media copy be up to date. Reputation management is such an important aspect of social media because disgruntled customers rarely send a private message to share their complaints, they post a public review. With close to 3 years of experience in reputation management, this is something I proudly excel in. I take pride in quickly and effectively dissolving customer disputes and encourage business owners to learn from each one of them. Responding to positive reviews is also so important for businesses! Engagement is one of the main things that sets apart well performing posts and posts that aren’t seen by anyone. Did you know that the Instagram algorithm decides if a post is worth showing to people in the 1st 10 minutes after it’s posted? It takes into consideration how many people have liked and commented on a post in those 1st 10 minutes and then it will either be shown to more people if there’s a high amount of engagement, or it won’t even been shown to your followers if it doesn’t perform well. And on Facebook, a reaction is valued more than a like! Comments are great but when people comment back and forth with each other that helps the post perform even better. So having content that is not only engaging, but that starts conversations is so important! If there’s one thing I can guarantee, it’s that social media will never stop changing. And learning the new dos and don’ts of each platform when the next algorithm is released can take a lot of time. Luckily, when you hire me as your social media manager, you’ll now have someone on your team who specializes in keeping your content in-line with the new “laws” of social media. Looking at analytics frequently can be the best thing to happen to your social media accounts. It’s where I can easily learn what’s working well, and what is only harming your presence on social media. Learning from these free tools is the best place to start to improve your social media plan. If you aren’t currently looking at your analytics regularly and have no idea where to start, I offer full social media audits starting at $100. If you have questions, would like to schedule a consult call, or purchase an Engagement hour on IG, please fill out the form below and I will get back to you as soon as possible. View all of my services here. Previous postWhy is it important to hire a Social Media Manager?